My mission is to provide patients with personal attention and the highest standards of service in the medical field. Welcome to the world of Caring and Compassionate Medicine. Our practice motto is simply to offer unparalleled dedication and compassion. You will be welcomed by friendly staff in our state-of-the-art office. Respect for you and your time are of paramount importance; hence, you will spend time with the doctor and not in the waiting room. All blood work and diagnostic studies are done right here on our premises. Let Dr. Aquinin become a part of your family as he has for so many. Let us transport you back to the medicine you miss. Call today. You will be amazed by our reasonable fees and services. "Dr Aquinin…The guy is a dream doctor. What can I say, a credit to the medical profession. I have been seeing doctors for the last forty years, he is the best ever. I almost look for reasons to come in, as it always winds up feeling good. You are the best." 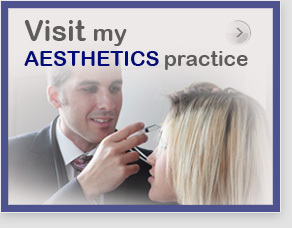 Specialties include House Call Doctor & Internal Medicine in Miami Beach. Copyright 2010. Internist & Family Doctor Ronny Aquinin, MD . All rights Reserved.